We have walked with these women and Jesus, finding out about His love for them, watching Him perform miracles in their lives, and seeing their response to Him. We have heard time and again that Jesus gives dignity to women, and Mary’s life is one of the best examples of this! What do we know about Mary? When I first started researching Mary this summer, I thought I would have nothing to write because there’s so little written about her. Boy was I wrong! Mary was a Jewish woman living in the region of Galilee in a city named Magdala. 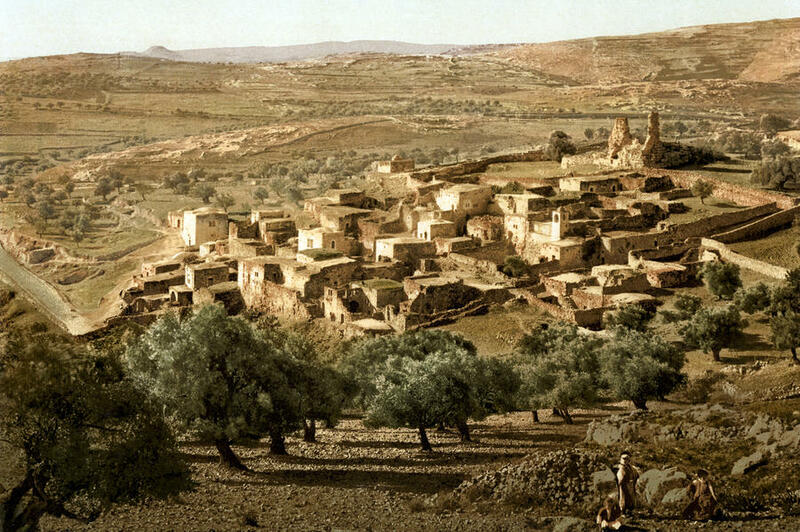 It was located on the western shore of the Sea of Galilee. Josephus, a Jewish historian during the 1st century, wrote about Magdala as being a fairly good-sized city (larger than Nazareth) surrounded by a large wall . 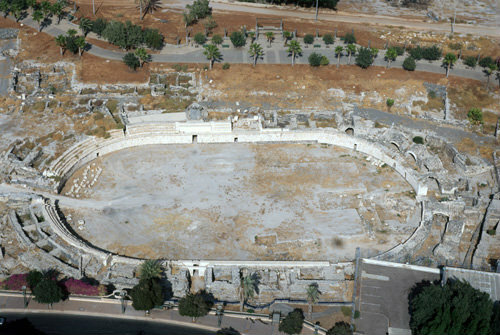 It had grain markets, major aqueducts, a theater, and a hippodrome for races. The first time we hear about Mary meeting Jesus is with a group of women in the region of Galilee (close to the end of Jesus’ 2nd year of ministry). Soon afterward he went on through cities and villages, proclaiming and bringing the good news of the kingdom of God. And the twelve were with him, 2 and also some women who had been healed of evil spirits and infirmities: Mary, called Magdalene, from whom seven demons had gone out, 3 and Joanna, the wife of Chuza, Herod’s household manager, and Susanna, and many others, who provided for them out of their means. When Mary is listed among the women disciples, she is not associated with a family member like Joanna the wife of Chuza. While we don’t know for sure, this may be because she was unmarried or a widow. She was however associated with her town. 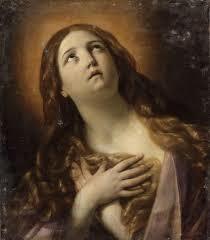 Mary Magdalene only occurs in 4 scenes in the gospels. This one here with the women disciples, then at the cross, at the tomb when Jesus’ dead body is laid in it, and finally at the empty tomb 3 days later. As Luke says here, Mary and the other women provided for Jesus’ ministry out of their resources. With the exception of Joanna, we aren’t given the information as to how they had so much money, whether or not they worked or were born into wealth, but we know they helped Jesus. Obviously we have NO idea what she could have looked like. But here, she looks strong and fierce, with those piercing eyes. What I love about this whole scenario is simply that women were a part of Jesus’ ministry! We know from reading the Bible that Jesus had 12 disciples, and we also know that many other “disciples” or “followers” went along with Him as He traveled around the region of Galilee. We now know that many of those “followers” were women! My article about Mary of Bethany really sets us up to better understand Mary Magdalene. You recall that Jesus allowed for women to become disciples, something which Jewish tradition prohibited and discouraged. In other words, Jesus fully intended for these women to have the same basic privilege of becoming His disciples even though the religious leaders disapproved. And Mary Mags (as I like to call her; she’s rather like a sister to me now) was one of those who left her home to follow in the dust of her Rabbi. Whether there were literally 7 demons or that the number represented the seriousness of her possession is not important. What is important is that Jesus rescued her from an obviously horrific life situation. What devotion she must have felt for Jesus, the One who had freed her from the torment of demons. Then as we turn the pages in our Bibles, we must keep turning and keep turning until we come nearly to the end of the gospel before we reach another word about Mary. Not once is Mary named between this account in Luke and the crucifixion. However, I don’t want you to think that means Mary was absent during Jesus’ tours in Galilee and down in Judea. It is very likely she was with Him throughout the entirety of His ministry after meeting Him for the first time. What I want you to see in this scene is simply this — Mary had followed Jesus, along with many other women, even to the cross. Though the 12 disciples scattered, Mary remained! 42 And when evening had come, since it was the day of Preparation, that is, the day before the Sabbath, 43 Joseph of Arimathea, a respected member of the council, who was also himself looking for the kingdom of God, took courage and went to Pilate and asked for the body of Jesus. 44 Pilate was surprised to hear that he should have already died. And summoning the centurion, he asked him whether he was already dead. 45 And when he learned from the centurion that he was dead, he granted the corpse to Joseph.46 And Joseph bought a linen shroud, and taking him down, wrapped him in the linen shroud and laid him in a tomb that had been cut out of the rock. And he rolled a stone against the entrance of the tomb. 47 Mary Magdalene and Mary the mother of Joses saw where he was laid. I love that Mark gives us this detail! 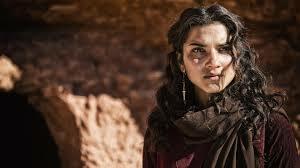 Mary Magdalene was with Him on the dusty roads, she was with Him at the cross, and she was with Him at the tomb. Sounds like a pretty strong eye witness if you ask me! Now on the first day of the week Mary Magdalene came to the tomb early, while it was still dark, and saw that the stone had been taken away from the tomb. 2 So she ran and went to Simon Peter and the other disciple, the one whom Jesus loved, and said to them, “They have taken the Lord out of the tomb, and we do not know where they have laid him.” 3 So Peter went out with the other disciple, and they were going toward the tomb. 4 Both of them were running together, but the other disciple outran Peter and reached the tomb first. 5 And stooping to look in, he saw the linen cloths lying there, but he did not go in. 6 Then Simon Peter came, following him, and went into the tomb. He saw the linen cloths lying there, 7 and the face cloth, which had been on Jesus’ head, not lying with the linen cloths but folded up in a place by itself. 8 Then the other disciple, who had reached the tomb first, also went in, and he saw and believed; 9 for as yet they did not understand the Scripture, that he must rise from the dead. 10 Then the disciples went back to their homes. Mary is obviously distraught at the thought of Jesus’ disappearance, and likely assumes it was some man or the Jewish authorities who’ve taken Him. Notice she says, WE do not know where they laid Him. If you read the other gospel accounts, you will find the writers mention the presence of other women with Mary, though John writes only of Mary Magdalene. I believe he emphasizes Mary because of her later encounter with Jesus. 11 But Mary stood weeping outside the tomb, and as she wept she stooped to look into the tomb. 12 And she saw two angels in white, sitting where the body of Jesus had lain, one at the head and one at the feet. 13 They said to her, “Woman, why are you weeping?” She said to them, “They have taken away my Lord, and I do not know where they have laid him.” 14 Having said this, she turned around and saw Jesus standing, but she did not know that it was Jesus. 15 Jesus said to her, “Woman, why are you weeping? Whom are you seeking?” Supposing him to be the gardener, she said to him, “Sir, if you have carried him away, tell me where you have laid him, and I will take him away.” 16 Jesus said to her, “Mary.” She turned and said to him in Aramaic, “Rabboni!” (which means Teacher). 17 Jesus said to her, “Do not cling to me, for I have not yet ascended to the Father; but go to my brothers and say to them, ‘I am ascending to my Father and your Father, to my God and your God.’” 18 Mary Magdalene went and announced to the disciples, “I have seen the Lord”—and that he had said these things to her. For Jesus to visit Mary first BEFORE ANYONE ELSE is startling! If you had never read the gospels and you were reading about when Jesus was going to reveal Himself to His disciples post resurrection, you would likely assume that He would go first to one of the 3 in the inner circle – namely, Peter, James, or John. Or perhaps you might think He’d go first to His mother. But no, He tells Mary Magdalene, just another face in the crowd. But she was not just another face to Jesus. It was by her mouth that the message of His resurrection would go to the disciples! And isn’t it interesting that the angels don’t appear to Peter and John? But only to Mary? This message was meant for her eyes only. Some scholars believe the angels appeared to reveal that Jesus was not missing at the hands of men BUT BY THE HAND OF GOD! HOWEVER, Thiessen writes, “Jesus entrusted a woman with the most crucial message of His triumph over death.” !! There are some who might discount the testimony of Mary, and even the 12 disciples did not truly believe her, but Christ chose her anyway! If you really want to drive home a message to Your enemy, send someone who had once been held in the clutches of the enemy! He chose her to further mock the powers of darkness, adding salt to their gaping wounds! There is so little mentioned about her that Mary nearly fades into the background, and I think she would have wanted it this way. This story was not to revolve around her but was to be centered on the Messiah, her Savior. Some say He meant for her not to literally touch Him because He’s so holy, but this theory falls flat when Jesus allows and requests Thomas to touch His hands later. Still others claim that maybe Jesus didn’t really say “do not hold on to me” and that a scribe misread it and it should have meant “do not fear”. Ridiculous. There’s no evidence for this! The best explanation I read was that Jesus wanted Mary to know that His relationship to them would be different now because He would be returning to the Father and sending the Holy Spirit to be with them. One might speculate that Mary, who was following the Jewish custom of anointing the dead body after death, was the most important figure in spreading the initial truth of the gospel! HE is risen! One of my favorite things to think about (in a kind of twisted sense) is what sin must have felt like to Jesus as He walked on the earth. And particularly, what did it feel like for this Holy God to experience the weight of sin as it was laid on Him at the cross? Our problem is that we inherit this sin from Adam (and along with that – condemnation, guilt, punishment…death). This is known as the representative theory. Sin inherently corrupts our nature. Another way to look at it is that Adam and Eve were originally made in God’s image, but when they sinned, it corrupted their nature (that’s not to say that we aren’t still made in God’s image, because we are, but now we don’t naturally seek after God since we are corrupt). Adam is known as our “natural head” and was our representative before God in the covenant. 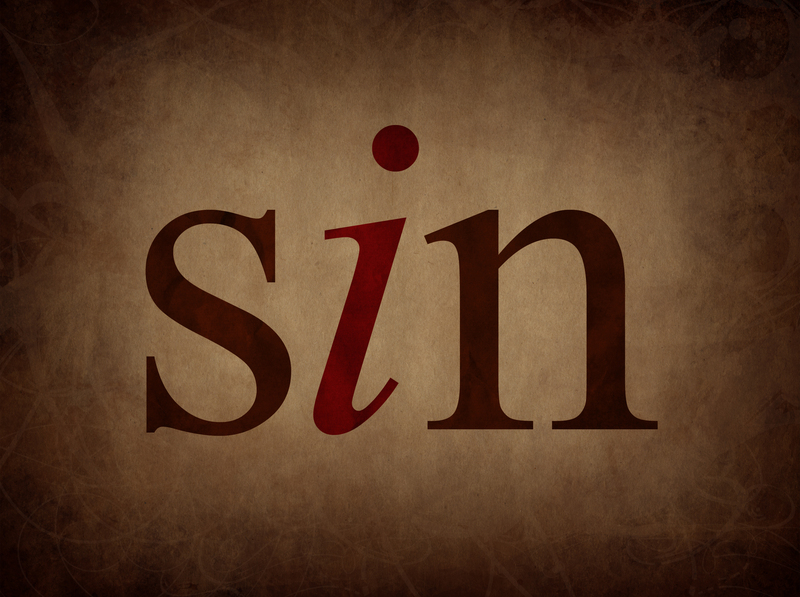 When he sinned as our representative, he imputed his sin to us (Romans 5:12, 1 Corinthians 15:21-22). TIME OUT. to attribute (righteousness, guilt, etc.) to a person or persons vicariously; ascribe as derived from another. It’s just really ugly. And there’s no way that we can get ourselves out of this mess. That’s why we need a Savior. We need someone who can be our new representative before God to undo what Adam did. 2 For the law of the Spirit of life in Christ Jesus has set you free from the law of sin and of death. 3 For what the Law could not do, weak as it was through the flesh, God did: sending His own Son in the likeness of sinful flesh and as an offering for sin, He condemned sin in the flesh, 4 so that the requirement of the Law might be fulfilled in us, who do not walk according to the flesh but according to the Spirit. 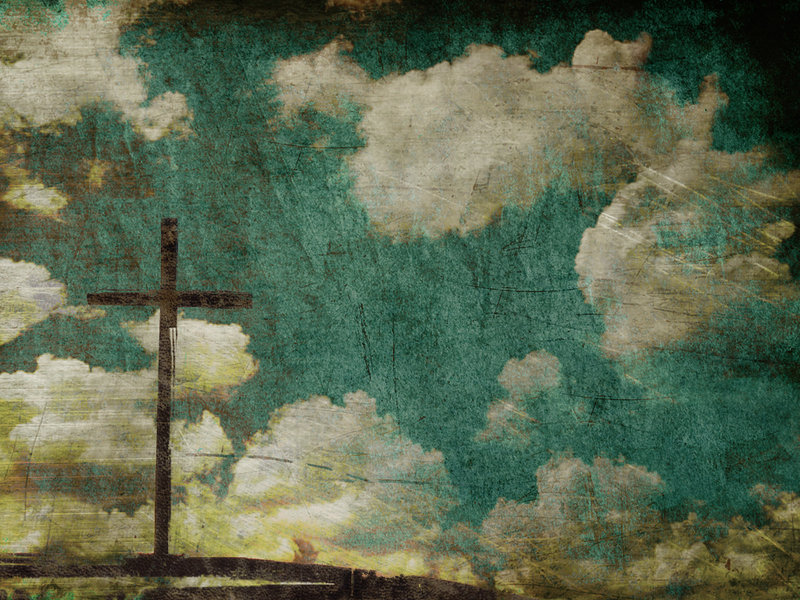 We were dead, so Christ died to fix it. We couldn’t save ourselves, so God raised Him from the dead, making us alive just as Christ also became alive. He raised Christ up and now He is seated in heaven at the Father’s right hand, we are seated with Christ in heaven. Come again? I don’t recall ever being in heaven, did you? No near death, extra supernatural experiences here last time I checked. God credits us with everything that Christ is. Where it can be said of Christ that He is holy, it can be said of us that we are holy. I gain access to the Father because Christ satisfied the demands of the holy God through His death, and God the Father accepted His sacrifice as a pleasing aroma when Christ ascended to heaven like the smoke from a sacrifice. Christ has constant and unhindered access to His Father and lives to intercede on our behalf! I stand as a free woman without the glaring sentence of condemnation for all eternity because Jesus took my sentence (Colossians 2:14) and nailed it to the cross. He stood condemned so that I wouldn’t be. So when Paul writes about being “in Christ,” now you know he really, literally meant it. Let’s recap. The Covenant of Grace is summed up in two simple statements: God did it all. We reap the benefits. God chose to make a covenant with mankind, and by doing this, He also fulfills the requirements of the covenant for both Him and us. We saw this in the story of God and Abram in Genesis 15, and we find the fulfillment of the covenant at the cross and resurrection. Christ came as the fulfillment of the covenant. It’s a thing of beauty. Because Jesus is both God and man, He is perfectly able to fulfill the requirements of both sides of the covenant. Just like Abram, we could not keep the covenant, so He did it for us. But this time, unlike the story of Abram, Jesus tangibly became the sacrifice that met the requirement of the covenant. He gave His blood and His body like those animals which Abram dissected and God walked through. Only this time, the effects became permanent. The all-sufficient sacrifice. You might be wondering why He had to give His blood (and let’s get one thing straight, He didn’t HAVE to give it. He WILLINGLY gave His life – John 10:11,15, 17). What’s up with all the blood?!? Let me take you through a quick trip of the Old Testament concerning the issue of blood (or sacrifice). Genesis 9:6 – God then goes on to say never to kill a person because man is made “in God’s image” and from the dead person’s blood, the murderer’s blood will be demanded. Exodus 12:13 – God tells the Hebrews to paint the blood of a lamb (that they were to kill themselves) on their doorposts and that when He saw it, He would “pass over” them (in other words, not kill them). 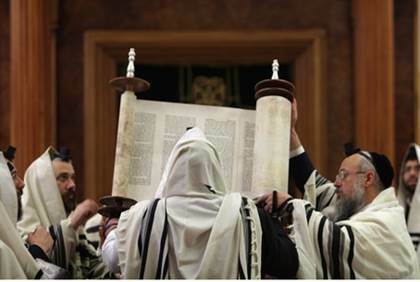 Exodus 24:8, 29:12, 29:20-21 – God instructs the sprinkling or splashing of blood on the people, on the altar/horns of the altar, and on His priests as a way to consecrate them. and finding it’s fulfillment in Christ (Jesus, at the Last Supper, holds up the wine and bread signifying His blood and body, given to us as the “new covenant in [His] blood” Luke 22:20 and see also Hebrews 8-10 for further explanation). It’s enough information to make your head spin…I realize this. So why does it matter? I could take this in a million directions because there really are lots of reasons why this matters, but let’s keep it simple. We were hopeless to save ourselves from sin, and trust me, everyone has a sin problem. We’re born with it. (I feel another Theology Thursday post coming on…) God comes to us, offering a relationship in the form of a covenant, and it is literally our only hope. Only a perfect sacrifice (the blood) can cover the effects of our sin, and He knows we don’t measure up (it’s that whole sin thing again…we just aren’t pure). So His plan is to be both the One who offers the relationship and the one who makes us acceptable to be in relationship with Him. God did it all. We reap the benefits. We can go before Him in full confidence knowing that we are acceptable to Him because Christ was the acceptable sacrifice. We no longer approach the holy Father as strangers covered in the dirtiness of our own sin but as children covered by the blood of His perfect Son. He sprinkles it on us, and we are made pure…holy…consecrated for His divine purpose. 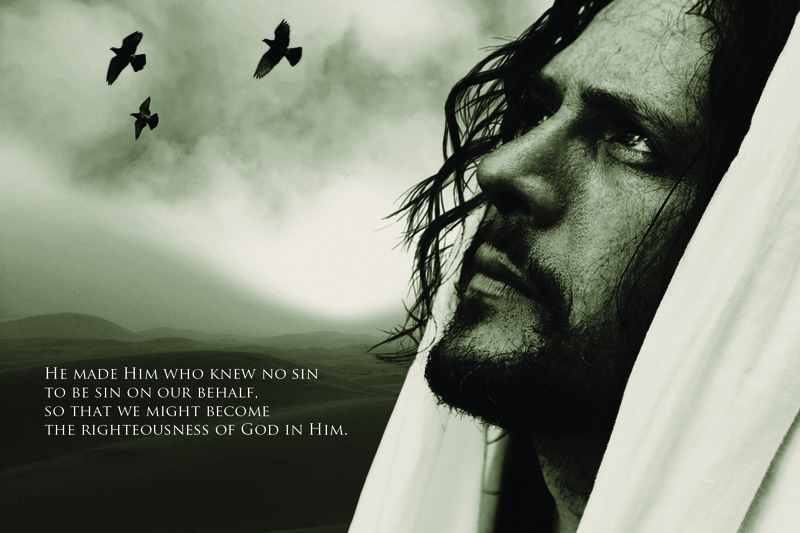 Are we sinless? No. But the good news is that He empowers us to follow Him, giving us everything we need for life and godliness (2 Peter 1:3). So what’s your response to this generous God?